LOVE is a sensual blend of nourishing oils, this certified organic* aromatic composition oil for body, bath, hair and scalp is a tribute to Horst Rechelbacher, founder of Aveda, and contains ingredients sourced with the same deep love and respect he had for the Earth. Pick up yours at Pistachio today!!!! LOVE is Excellent as an all-over body, bath, hair and scalp oil. Add a few drops of nourishing oil to running bath water and enjoy the aroma as it fills the space around you. 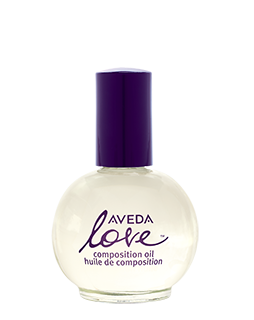 After shower or bath, apply a few drops of aveda love™ composition oil to damp skin to seal in moisture. Massage in at the end of the day to soften dry skin and feel the love. *Certified by ECOCERT Greenlife according to COSMOS Standard.